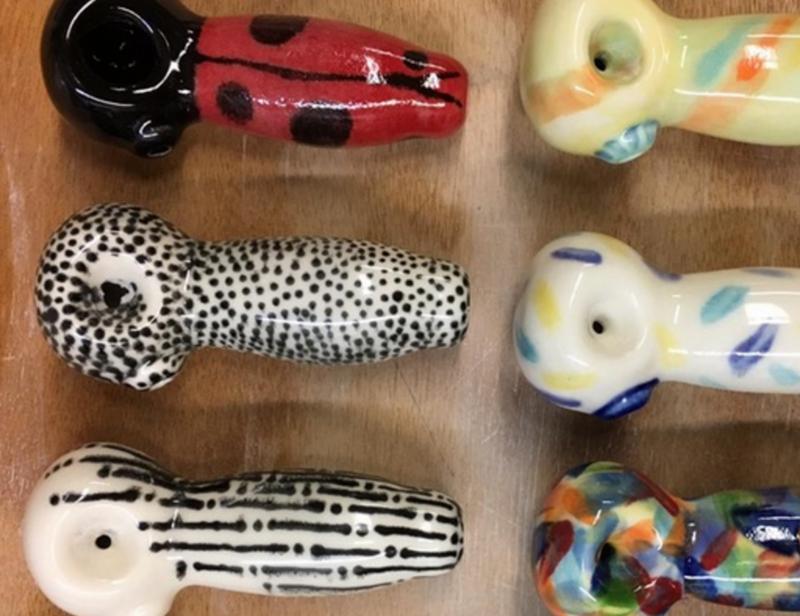 Puff, Pass & Paint classes at Prism House PDX are proud to announce Puff, Pass & POTtery in PDX, in collaboration with Stonedware (http://stonedwarecompany.com/)! Join us for a smokey session to create your own inspired cannabis accessories! Each session includes your choice of either a Stonedware spoon or chillum and ashtray combo, all supplies for painting your masterpiece, glazing by the Stonedware professionals, and shipping to your home or local pick-up. If you want to create more than one piece, no problem... we'll have more at each session to purchase! BYOB/BYOC 21+, all tickets are non-refundable/non-transferable.